We will never know what became of him, but because of a bear called Samaritan, 33 others are now safe – his image was the beginning of the end for bear bile farming in Vietnam. Boasting a spectacular seascape of limestone pillars and tiny, forested islands, Vietnam’s Halong Bay is famous for being one of the most beautiful spots in Asia. But in 2014 it became infamous for the shocking way bears were being caged, starved and kept half-dead for the barbaric practice of bear bile farming. Less than a year after Animals Asia exposed the reality of Quang Ninh province’s gruesome trade, bear bile farming was completely eradicated in the northern province – largely thanks to a bear who literally reached out to staff through the bars of his cage on a Halong farm. When Animals Asia’s inspection team came closer they could see the deep dry cracks in the bear’s outstretched paw – and a stump where his left paw should have been. It is likely he lost it in a snare laid down by poachers trapping bears in the wild. The image of the mutilated bear tugged at their hearts, and when it was later shared online, it tugged at the conscience of some 120,000 people around the world who signed a petition urging Vietnam’s prime minister to order the rescue of every bear still trapped on farms in the area. Overwhelming support for the petition led the prime minister to declare that not only should the bears in the area be rescued – but every single bear in the wider province should be released. In total, 33 bears were saved and brought to Animals Asia’s Vietnam sanctuary. Exactly two years ago today, on 30 October 2015, Hercules, the last bear in Quang Ninh arrived at the sanctuary and bear bile farming in the province ended forever. Tragically, nobody knows what became of the bear who Animals Asia’s named Samaritan. In the race to save the Halong Bay Bears, some unscrupulous farmers fought until the bitter end and even allowed their bears to starve to death rather than hand them over. Fast-forward two years and the perception of bear bile farming in Vietnam has changed dramatically. Since the Halong Bay Bears were saved and the last bear bile farm was closed in Quang Ninh, the Vietnamese government has signed a historic agreement with Animals Asia and declared that they will work with the organisation to rescue every last bear in the country. Moreover, the Vietnamese government is talking about using the mass rescue operation of bears in Quang Ninh as a template for how the industry could finally be “rolled up” province by province over the next five years. It is a mammoth task – bear bile has been used in traditional medicine for centuries and an estimated 1,000 bears remain in hundreds of households around the country – but the success in Quang Ninh shows it can be done. A key lesson from the Quang Ninh campaign was the importance of bringing everyone together to speak and act with a common voice and toward a common goal. 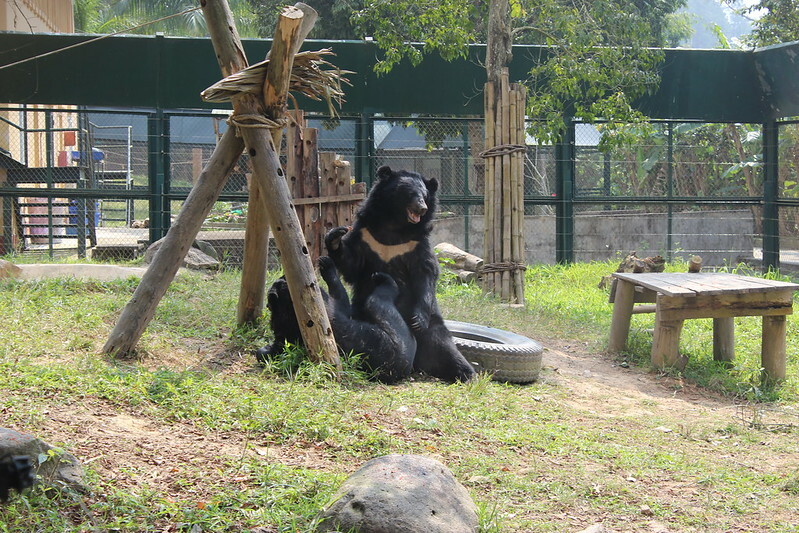 When Hercules arrived at the Vietnam Bear Rescue Centre two years ago, he was able to do so thanks to the efforts of Animals Asia, Vietnam’s Forestry Protection Department, the city police, the Quang Ninh Department of Culture, Sport and tourism, various other local government bodies and the support of thousands of people all around the world. That is how bear bile farming will end in Vietnam: with everyone working together. Already, the government and the Vietnam Traditional Medicine Association have officially come on board and declared they want to see the cruelty end. The media too has widely reported on efforts to clean up the remains of the industry and local communities and farmers are becoming increasingly aware of what is going on under their noses. 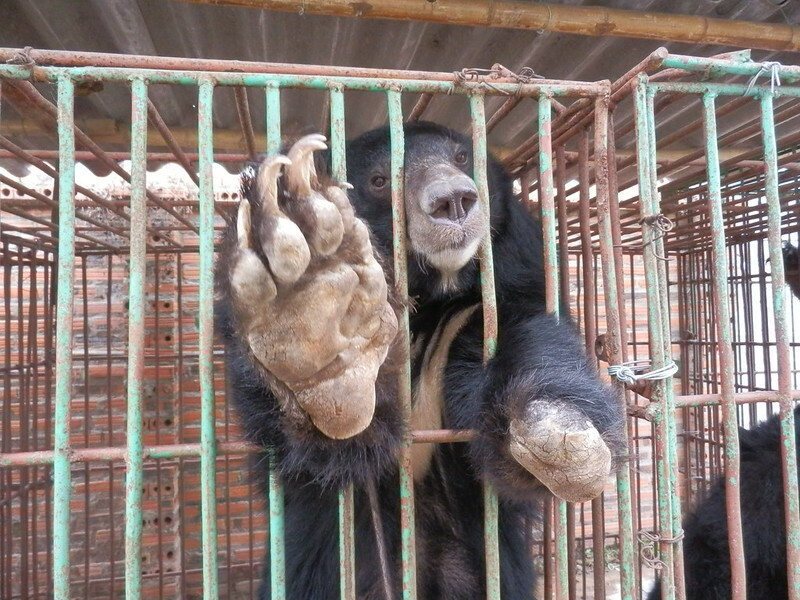 “It’s really the end game for bear bile farming in Vietnam now. The period of having to convince and cajole those in power to end it is over. They have had enough and they want it gone. “When the team walked onto that awful farm back in 2014, they were stopped dead in their tracks. We always expect the worst, but that day the team were very quiet. They were shocked but they did their jobs. They inspected every last depleted, malnourished bear and noted down the catalogue of health problems they were afflicted with, patiently photographing the suffering around them. “We knew of course that it was a matter of life and death for Samaritan and all the other bears on that farm and that we would stop at nothing to get them out – but we had no way of knowing the repercussions that our expose would have.